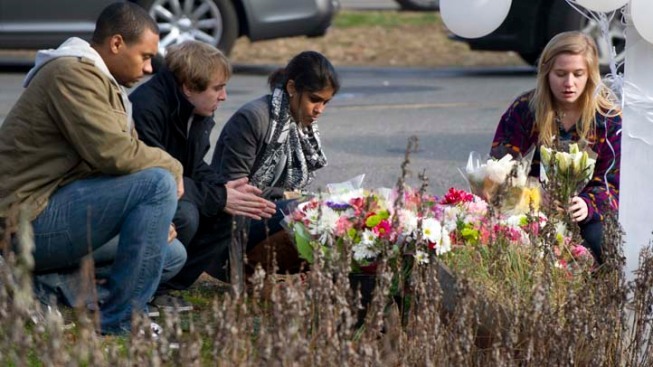 The residents of an idyllic Connecticut town were reeling in horror from the massacre of 20 small children and six adults in one of the worst school shootings in US history. The names of the 26 victims gunned down at Sandy Hook Elementary School in Newtown, Conn. Friday were released Saturday afternoon. Most of the 20 children killed in the second-deadliest school shooting in U.S. history were first-graders, the state's chief medical examiner said. All had died of multiple gunshots wounds, and the seven he personally examined had been hit with between three and 11 bullets a piece. The medical examiners' office provided photos of the victims to families, rather than having families come to identify the bodies in person. "It's easier on the families when you do that," Carver said. Eighteen females and seven males were killed in the attack. Sixteen of the children were 6 years old, while four were 7.